Regarding the recent Mine Train incident, we have received a guest message suggesting that the first train, which was parked at the loading bay at the time of the incident, was in fact not empty, but was loading passengers. Upon reconfirmation with our staff and review of CCTV recording, it is confirmed that some passengers were in the process of being loaded and seated in the first train when the approaching train made contact with it. The misunderstanding was a result of miscommunication and confusion in the statement provided by the Chief Operator at the time of the incident, which caused subsequent incident accounts to be misreported. At the time of the incident, no injuries or discomfort were reported, or noted from the passengers in the first train, or the second train. We apologise for any confusion made in our previous statement on this incident. On August 30, 2011 at approximately 6:30 p.m. at The Rapids ride, two boats, the first being empty while the second one was carrying passengers, were found travelling close to each other and subsequently got stuck at one of the turns of the water track. Three other boats with passengers coming up from behind soon arrived at the blockage site and were prevented from proceeding forward. Ocean Park staff arrived at the site and proceeded to assist the passengers to exit their boats using standard procedure. Within four minutes, all 27 passengers were brought back to the ride exit, and no injuries were noted from the guests. After the ride closure, all operational and emergency procedures of the ride were reviewed, and improvements were made to ensure sufficient spacing distance is maintained between each boat and all related staff are recertified on the ride’s operating procedures. EMSD and the ride manufacturer were immediately informed of the situation. At approximately 9:10 p.m. on September 11, 2011 on the Raging River ride, an empty boat at one of the two loading areas was discovered by our staff to have filled with a large amount of water. Following procedure, our staff attempted to remove the boat from the loading area, but as other boats continued to return to the dock at the end of the ride, and in order to ensure a safe unloading process, the water pumps were shut down and the ride was stopped so that the unloading lane could be cleared. All 15 passengers from a total of 6 boats exited safely from their boats at the loading area by 9:28 p.m. There were no injuries or complaints received from the ride closure. This ride closure did not involve a mechanical or operational problem, but is part of the Park’s normal operational procedures. 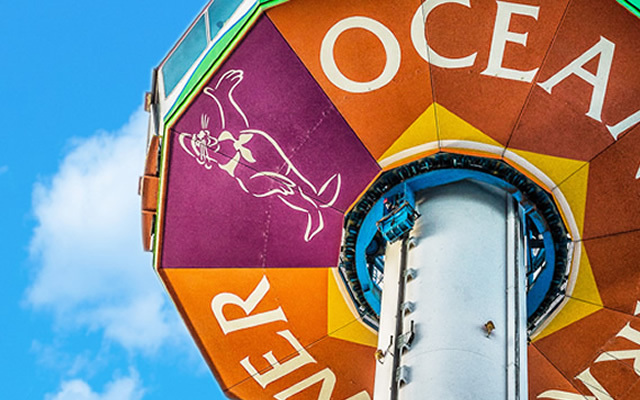 In light of the recent incidents, Ocean Park is holding discussions with EMSD and the Tourism Commission to review current notification mechanisms and to improve transparency to the public regarding future incidents. Once these procedures have been finalized, we will inform the public and media immediately.